Sometimes I love a good short story and sometimes I get a little frustrated. I am a little frustrated with 2BR02B, but that’s mainly because I want to read more about the world. I love the concept of a dystopian society with population control. Granted that there is an argument in there based on pro-population control and saying that the year 2,000 wasn’t liveable because of it, giving over to population control in the first place, but if I can see past that it doesn’t bother me overly much. There’s also an interesting argument presented that isn’t completely stated. Humankind, in this story, have extended their lives and in order for newborns to be allowed to live adults have to volunteer to die. I think that woks in with developing cures and whatnot for the human population to not die so easily via injuries and illnesses, and then going on about there being too many people alive. It’s a little contradictory, but it’s still an interesting argument to be present in a short story that has only touched on it. World building is another aspect of it that makes me appreciate the writer before the story is even over. There are a lot of writers out there who take far longer, and usually a considerable size of a novel, to build a world or describe it enough to give you a picture (don’t take me wrongly here, I’m not saying that it’s unnecessary, just stating a fact), but by page four Vonnegut has already done so much world building wise. For a wannabe author who is currently writing a novel that has a lot of world building in it, that’s something I can admire and learn from. It feels funny doing a review on a seven page story, but I really enjoyed it, and I love short stories (the same as short films) because a lot of the time the endings are very unique, strange, or unpredictable. 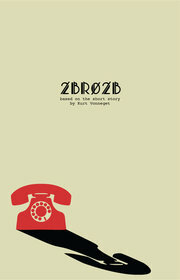 2BR02B is one of those unique ending stories with the added bonus of plenty to argue and discuss in its pages. If you want to check the story out it is in ebook format at Project Gutenberg where you can also read it online. You could probably get away reading it online because it’s less than seven pages. Demographic: Older YA and up.